As phones get larger and more complicated while business goes high tech, it's essential to carefully choose devices that add versatility and convenience to professional life. Enter the S-Pen by Zanco, an all in one pen phone and presentation tool that is packed with features for work and travel. Savvy business people understand how important presentations and meetings are and having a reliable work device to get the point across is critical. 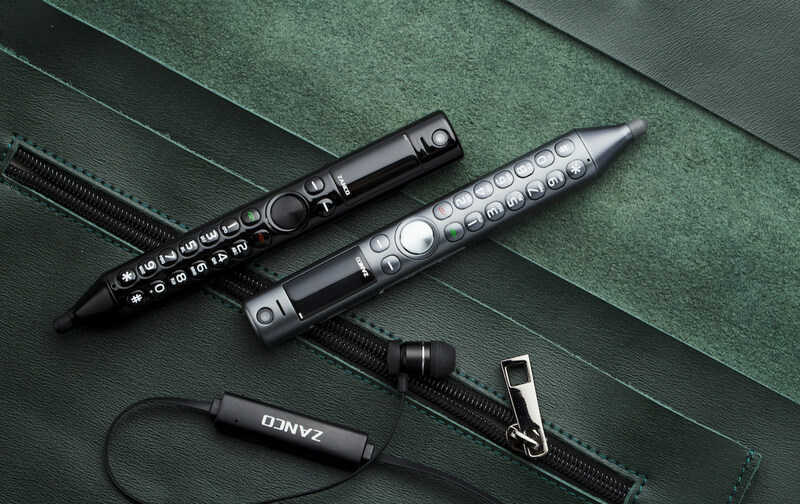 Zanco S-Pen is a pocket-sized companion that includes smart features to get more done. It makes presentations perfect as a laser pointer and voice recorder. It can also be used to monitor and decline calls so that meetings remain undisturbed. The S-Pen also functions as a universally compatible stylus pen for easy and accurate writing or using as a drawing tool for graphic design. The compact form factor makes Zanco S-Pen the ultimate compact backup phone for travel, outdoor activities emergency situations, or anywhere that a large smartphone is impractical. It includes the most essential phone functions such as calls, messages, and call records. It works with a reliable Bluetooth connection that pairs easily with any smartphone. S-Pen also includes dual front and rear cameras and because it is so compact and easy to carry, taking spontaneous photos and selfies is a snap. Photos can be stored using the on-board SD card or transferred to smartphone. Other features include FM radio, remote capture and a unique voice changer feature for adding a little fun to everyday calls. Designed as an everyday carry item and professional tool, the Zanco S-Pen includes a rechargeable battery that provides 6 days of standby power when fully charged. With S-Pen, Zanco has redefined the pen phone and added a suite of features that make it the perfect supplement to a primary phone, handy stylus for devices, and a powerful presentation tool. With Zanco, users can get more done, efficiently and with convenience.